First things first – huge congratulations. Whether you had the perfect birth or not, everything or nothing that you planned, you have created a new life and bought it into the world. Sit back and relish that thought when you get a moment because you, my lovely, are truly amazing. Chances are that right now you are exhausted. Perhaps you were only in labour for two hours, or perhaps it was two days, but however long it took, it’s pretty exhausting and the difficult thing is that you probably won’t be able to, or let yourself, get much rest over the coming days and weeks. If you’re anything like me, even when that precious bundle is soundly sleeping, and you are more tired than you ever thought possible, you will still sit and gaze at that beautiful face with love and wonder rather than take the opportunity to sleep. It takes a little while to sink in. My little girl is now nearly 13 weeks and I still wonder how I managed to create such a gorgeous little being and often just watch her when I probably ought to be doing something constructive. My first bit of advice in fact is to gaze and gaze and gaze again. You’ve heard it a thousand times I’m sure, but newborn babies really do change so fast, so make sure you imprint these early days onto your tired brain. Oh and by the way, everyone is likely to tell you to treasure these days for that very reason. I remember thinking people were crazy. These days are tough. You are shattered. Your emotions are all over the place. You are quite probably longing for things to get a bit easier. And it’s OK to wish that. I think if we are honest, all new mums do at times. And then you’ll probably feel guilty for wishing it away – it’s a constant roller coaster of emotions. I promise things will get easier though. 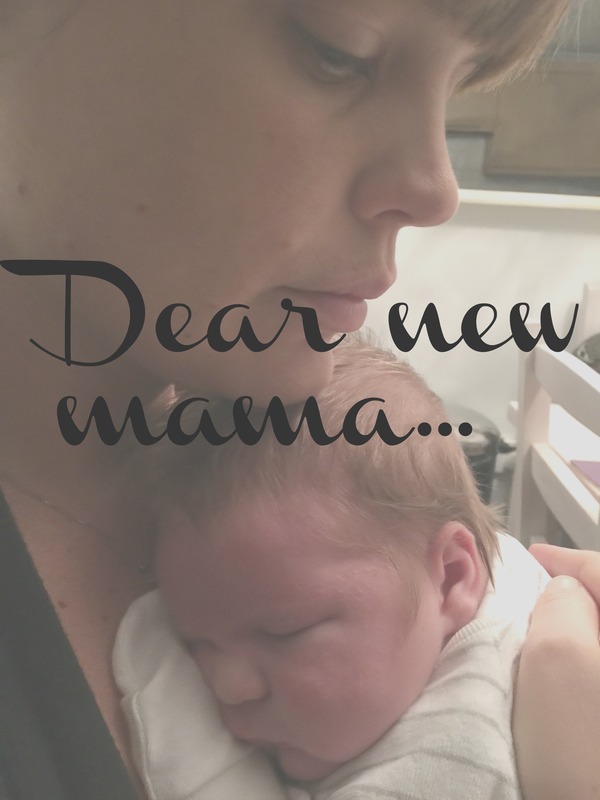 I don’t think being mama will ever be an easy gig, but those first few weeks are a true test of your grit. But do you know what, you’re already doing a perfect job. You’re that little one’s mummy, you are providing love, nourishment, protection and everything they need. Even if you feel that you don’t have a clue what you are doing. I was a confident, independent woman before I had my daughter and immediately that she arrived in the world, part of me became an anxious, indecisive, worried mess. You will probably now question every single decision you make about your baby. Shall I pick her up? Should I put him down? What shall we feed her? When shall we feed him? Should I wake her up to feed or let her sleep? Should I call the doctor about x? Where should he sleep? It’s a minefield for which there is no real training and you are probably feeling totally out of your depth. Unfortunately, unlike many other situations in life, there isn’t usually a definitive right answer either, and that’s really hard to get used to. All I will say is please trust your instincts. You may be new to this, and totally unsure of yourself, but you are that little baby’s mama. And you know best. Listen to your heart. Of course, research things as well. Ask Dr Google (but be prepared to be even more confused). Ask for advice if you’re not sure, but also go with your gut, it will rarely be wrong. On that point – everyone will now have some advice for you. Each person’s advice will be slightly (or wildly) different to the next. You will be totally confused. How can everyone think so differently? In the early days, I suddenly realised it’s because their baby is a little human and therefore it’s an individual. An individual totally different to your little human and the next one, and the next one. People are trying to help when they impart their jewels of wisdom, and their advice may be just what works for you, but equally it may not. Keep an open mind and always do what is right for your family. You probably haven’t really been out of the house yet. Be warned that when you do, it will likely take you half a day to prepare, you will be a nervous wreck and you’ll probably want to come home very soon after you’ve shut the front door behind you. That’s fine too. Take baby steps (excuse the pun) and don’t rush yourself. I’m pretty sure it’s mother nature’s way of keeping you safe and sound in the early days and ensuring you don’t run before you can walk. Before you know it, you’ll be out and about all the time, and growing with confidence each day. Sometimes outings will go well, sometimes they will be filled with crying, exploding nappies and missed naps resulting in overtired babies. When that happens, wipe the slate clean and try again tomorrow. It’s no reflection of your parenting skills, just a sign that your little one is getting used to this huge wide world. I worried constantly about what others were thinking of my parenting skills while we were out in public, until Mr M explained that people were unlikely to be taking a blind bit of notice and if they were, they weren’t likely to be judging me, and much more likely to be cooing at the cutie in the pram, or remembering when they struggled with a crying baby in public. The few who do judge, if there are any, are really not worth bothering about. What I guess I really wanted to do was to reassure you as this first bit is such a huge shock to your system. No new parent has all the answers. I’d bet money that we all feel insecure and lacking in confidence sometimes (if not all the time in the first few weeks), but it gets easier as you gain experience. And then the next stage starts and you realise you don’t have a clue about that either. I think parenting is always going to be a big challenge, but you are doing amazingly, so give yourself credit and hold your head up high. When you feel like you are the only one who feels lacking in confidence, unsure, worried, or you’re the only one who doesn’t know what’s best, please remember that every single one of us feels that way at some times. You are not alone. Seek out other parents and talk to them about your worries and you will find that theirs are very similar. Try to enjoy these special moments, drink in that tiny new member of your family, get to know the very bones of them and bond with them to form the basis of one of the most special relationships you will ever be lucky enough to experience. Oh, and try to get a few naps in if you can – you’ll feel so much better for it. All of the hard times are worth it when you soothe that little one to sleep, cuddle them to stop them crying and eventually they smile straight back at you.